What is normal? What does it mean to be a “normal” mother? These are difficult questions to answer, right? To answer these questions, we must ask many more. But what if I told you that it is possible to make these complex questions friendlier and constructive perspectives? Never has the dark side resonated so much with me or taught me so much. Just as Emperor Palpatine explained “good,” I believe that normal is simply a point of view, too. I have come to understand that normal is relative, something I wish I would have understood during puberty. Normal is unique to every person. One of the best things we can do for ourselves and society is to acknowledge that “normal” is based on the individual. It is also temporary, never permanent, and transitions through normals are rarely easy or clean. They are mostly challenging and messy. During these transitions, there are many opportunities for growth, mending, or even destruction — you as the beholder must choose what kind of growth it will be for you. It is not what it was six months ago. Currently, I am a stay-at-home mom. (I am finally loving my role and doing great at it. It only took me a year to settle in.) My husband, two children, and I live in a one-bedroom apartment. Our beds are a foam pad on the floor, our living room couch, and a queen-sized bed, and we sleep as if we were playing a game of musical chairs. Although this may not be normal for many, it is normal for us right now, and it will work for us until we are forced to grow. I am embracing the word “normal” instead of turning away from it. I am appreciating what it means to me and allowing how different my normal is from others’ to bring me joy. I hope that my perspective on normal has brought you a feeling of solidarity. 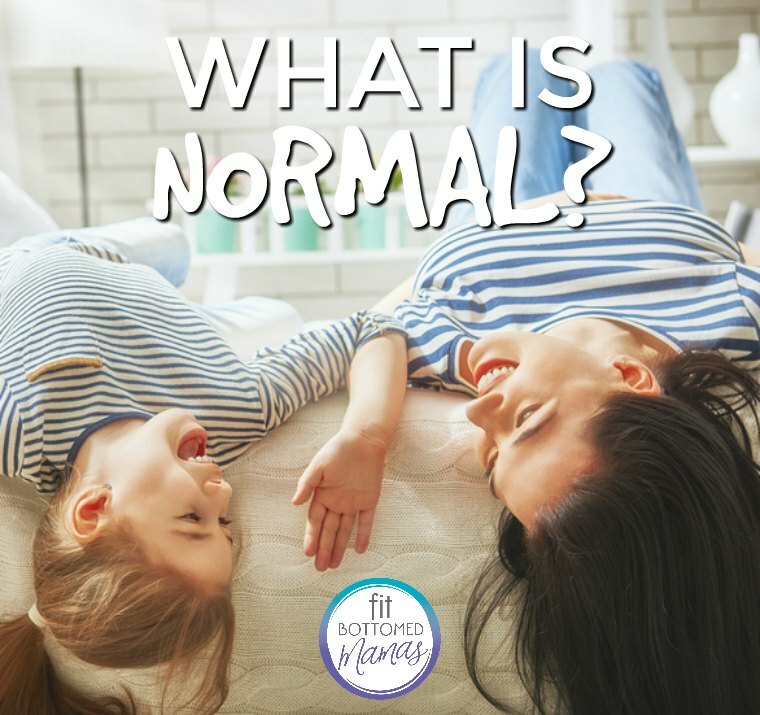 Remember that your normal is normal even when it looks different from all the other moms.